General Electric is going to phase out the CFL bulbs (that's compact fluorescent lamp) so that they can give a boost to the LED tech that's slowly but surely becoming the standard. This will occur over the next year as CFL bulbs are phased out. You know the CFL bulbs, if not by that moniker then by their typical look. These are the swirly, energy efficient bulbs that stood as the main way to save money through efficiency starting in the 2000s. They're relatively inexpensive, but they feature a weird aesthetic and normally don't offer dimming control. GE lighting boss John Strainic talked about how the CFL bulbs captured a roughly 30% marketshare after getting pushes from the likes of Oprah and Walmart in 2007. "I remember it very well, because … I couldn't find enough CFLs to ship to customers…It's kinda been the product that everybody loves to hate." 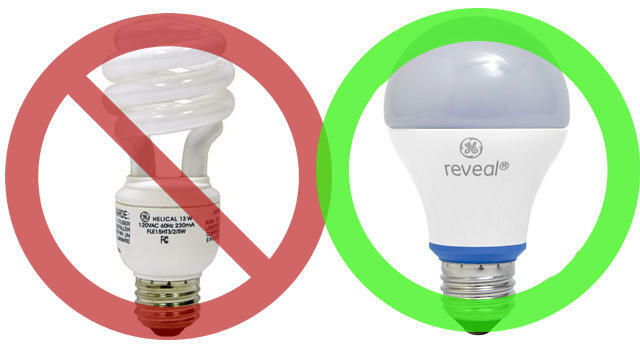 Why do consumers hate CFL bulbs? Strainic cites their slow warm-up time. It absolutely takes a while for the bulbs to reach full luminescence. I've been slowly moving over to LED bulbs whenever another lamp burns out. They tend to be more expensive than the CFL ones, though not by much. That cost should be offset over years of use, of course.